For ASC Window Space, Sarah Sparkes has created a mixed media tableaux constructed from a selection of her recent work. Individualy and collectively the works suggest the potential for an extraordinary function or a symbolic narrative origin. 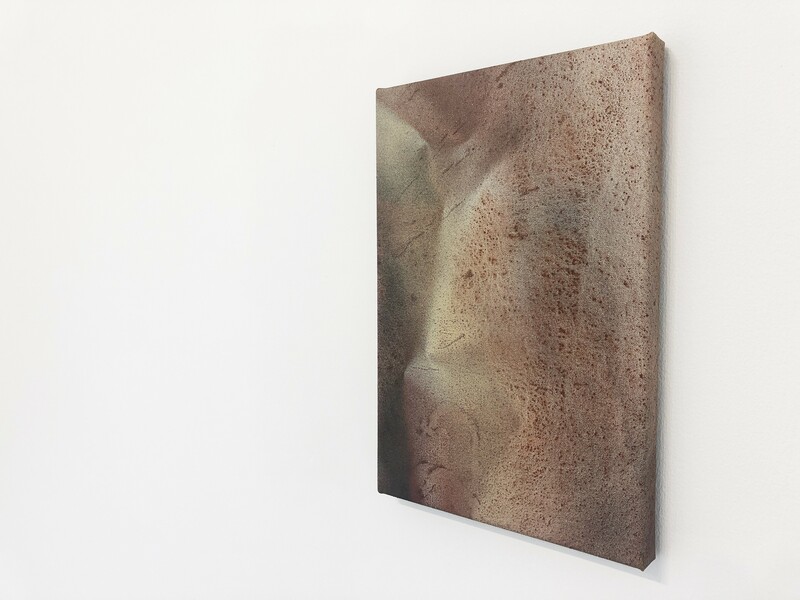 Sarah Sparkes is primarily concerned with concepts of immateriality and how this might be visualised. 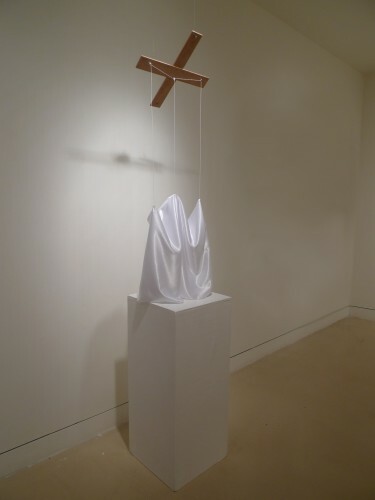 Her work often interrogates the presence of magic in the domestic and everyday, both as supernatural force and as legerdemain and is an investigation into the belief systems and material symbols we adopt to mediate with the unknowable. Sarah Sparkes is an artist and curator. She runs the visual arts and research project ‘GHost’ and has published on and regularly lectures about this subject. She has exhibited widely, both in the UK and internationally, and been the recipient of numerous awards and residencies. She spent three years as Artist in Residence and Research Fellow at the ‘Harry Price Library of Magical Literature’ and this has informed much of her recent work. She is currently working on a commission for Camberwell Arts and is developing work for the ‘Over Time’ project at Enderby Wharf in Greenwich. Recent exhibitions include Theatrical Dynamics’ at Torrance Art Museum, Los Angeles; ‘Haunted Landscapes’ at Falmouth University, Cornwall and ‘Lumen’ at St. Clements Old Psychiatric Hospital, Mile End, London. ‘NEVER AFRAID – Giant Killer’, 2010, mixed media with LED lights. ‘The Host Ghost’, 2014, mixed media marionette. ‘Remember. THE END’ 2012, satin, felt, silk and oak. ‘Time Machine’, 2013, oak, clock movement, infinity box.